WoW – here we are 94. 94! And I got this leather thing working now too. Just gotta Pokemon some more Clefthoof! So time to do some questing…. 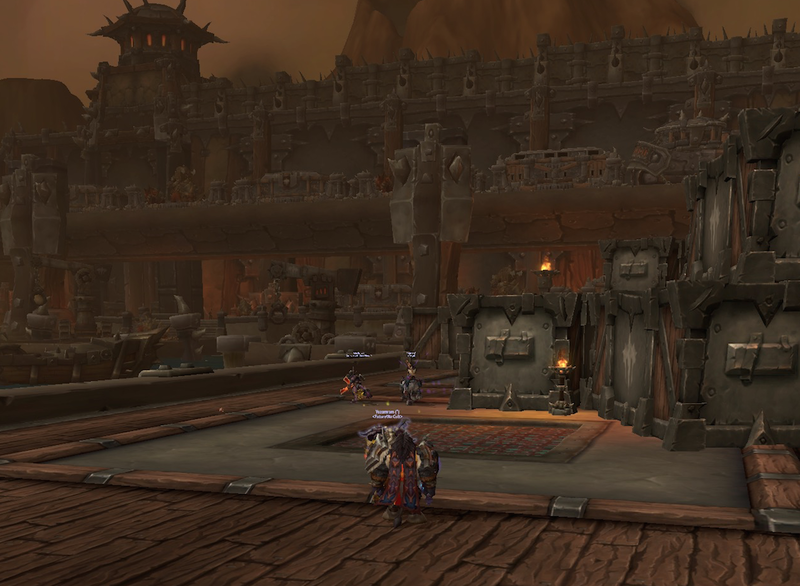 I am actually finding that this Garrison thing is slowing even my usual glacial levelling – I keep having to return there to park Mabaho for the evening. So I followed some of the quests from within the Garrison. 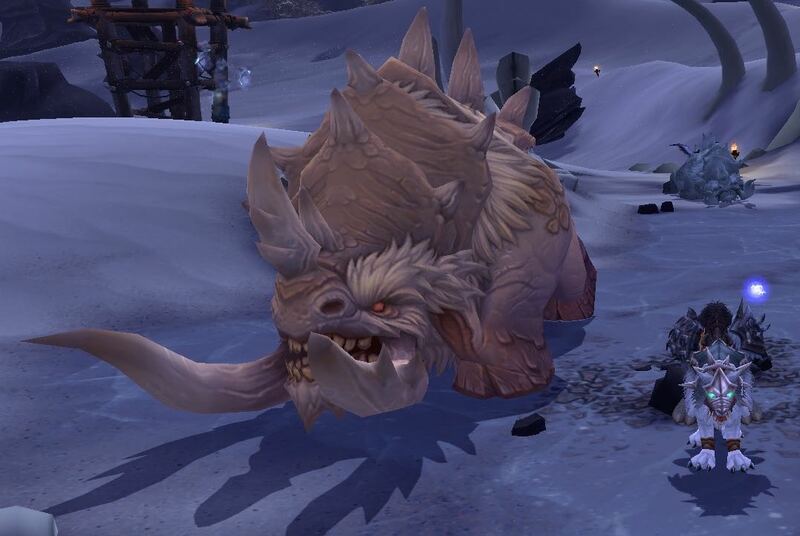 These had me headed to Talador. Looks like I’ve levelled past Gorgrond already. The time also meant a chance to LFG, so after about 20 mins one popped. Iron Docks. First time here and seemed like I was on the lower end of the scale so I picked up some good gear here. Added to the gear from my Followers, it’s going well. Out of the dungeon it was time to hand in some quests around Talador. Found just about the smallest Inn I’ve seen. Before it was time to head back to the Garrison to set it up for the weekend work. 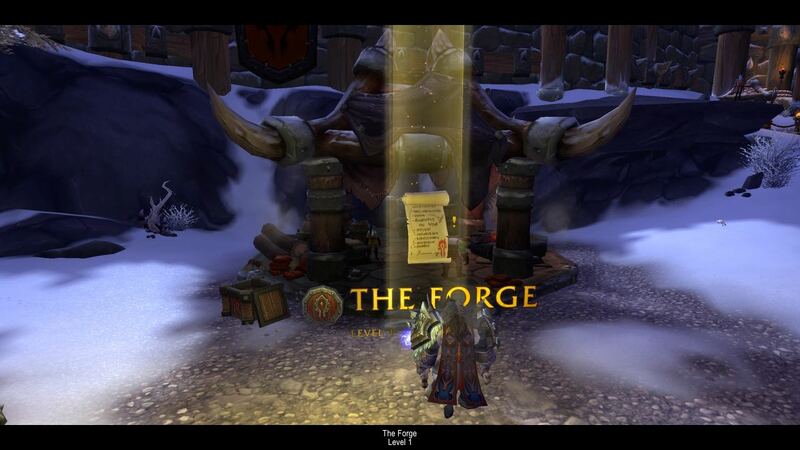 Author MabahoPosted on January 29, 2015 Categories WoWTags Garrison, questing, Warlords of Draenor, WoD, WoW2 Comments on WoW – here we are 94. 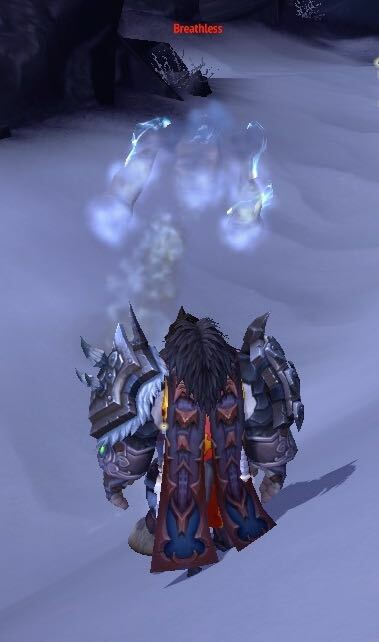 WoW – Frostwolves hunt in packs. I haven’t been sitting idle, now that I am on my own in Canberra again during the week. I got Mabaho out questing. Found a couple of rares. Think this guys was Something Crusher? Levelled up the Town Hall in my Garrison. That opened up a couple of plots for me. I also recruited a couple more followers, so I am up to five. I need to level these new two up as the others are at 93/94 already. What is this ogre doing? Watching for a moment…. he’s doing sit ups (crunches). A “helpful” guildie suggested doing push ups next to him, but I couldn’t find the command (wink), it was probably /gquit. 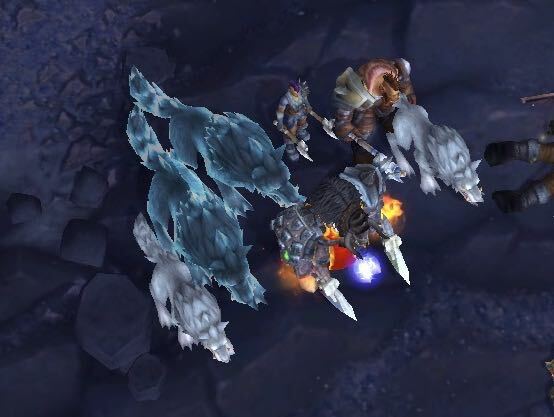 Here is me, my doggies (the Spirit Wolves), the Frostwolf that aids me randomly as I am a Wolf Brother, and two orcs (whose names I forget) and one of their wolves. You mess with me you get the whole pack 😉 Grrr…. 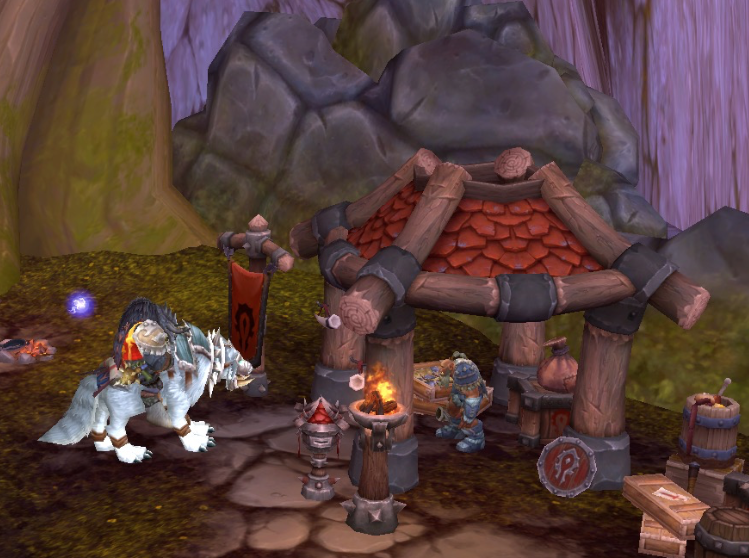 Author MabahoPosted on January 8, 2015 Categories WoWTags questing, rares, Warlords of Draenor, WoD, WoWLeave a comment on WoW – Frostwolves hunt in packs. Holidays, both the seasonal, and the enforced one as I recovered from my crash are over. Back at work this week and I need to knuckle down and get into this expac. I’ve already been left far behind most and I’m kinda sad about that. But I’ll make my own way again. I’ve been logging in regularly into Mabaho though. It appears that if you leave your Garrison cache more than about 5 or 6 days it fills up. So regular log in and empty the cache. I’m hoping that will mean a flurry of building when I get some more building plans as I have a good size stash of resources. I have also scrounged up 3 followers which is allowing me to do some missions with them I actually have them up to 92/93 and some additional xp for me as well. I got back to my current quest hub last night, clearing a ogre tower for the Frostwolves. More quests tonight and I hope to find another follower or two in order to better complete some of the missions on my list. Need a couple more abilities. I’ve also picked up some gear, some just from a proper look at what was in my bags. Jumped up a few ilevel to 507 (from about 480 before the expac). Back into it over the week and then much more seriously next week. Seems like many of the blogs I read have gone a bit quiet. I did expect more WoD posts from them but I guess many are racing to 100 not posting. 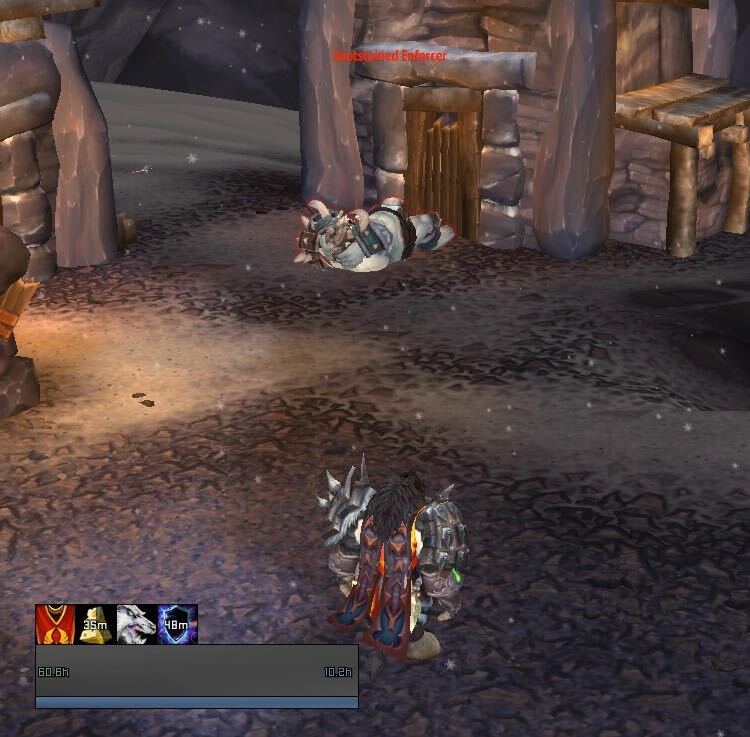 My own WoD experience has been so far very small. I logged in the first night and Mabaho started through the Portal. This was during the whole “I can’t get my Garrison”‘period and I was just sitting there amazed people were already up to that! I played for about an hour before knocking off. Early the next morning I logged Magdasal in to find the steps of the Portal empty of toons. This made things hard for her but I got her started as well. Niether toon is even up to 91 yet and I see the Frosties already have at least one 100 already, even with all the apparent login dramas. Great work. I’m still at home recovering so am playing on the PC which isn’t as well set up (and I don’t have my Naga). It also means that all the usual family distractions are there, hence my leveling is so slow. I still have two weeks at home so I’ll be behind yet again. I’ve liked it so far, though I’m still running everywhere with Khadgar, which I assume stops at some point. It’s a bit of whirlwind really. Author MabahoPosted on November 16, 2014 Categories WoWTags questing, WoD, WoWLeave a comment on Too busy to blog?